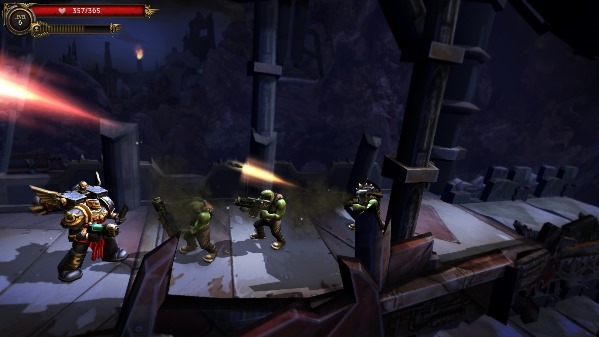 Warhammer 40,000 Carnage, yet another 40k mobile game! Coming to iOS and Android, Carnage will see you take on the role of a powerful Space Marine as you fill Orc after Orc with hot bolter fire. Carnage’s graphics have a slight cartoony style to them and not quite as much grim-dark as we’re used to. The entire blurb suggests that you play as Game Workshop’s blue poster boys, the Ultramarines, but there are hints that you can play as other chapters. 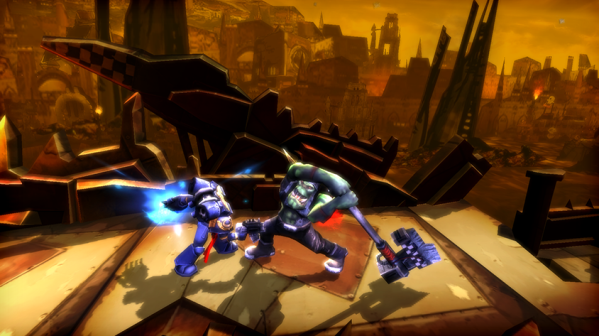 There’s no gameplay footage at the moment, but plenty of screenshots, so we’re unsure how this will play at this time. To me the game is giving vibes of the twin stick console shooter Kill Team, which although not an amazing game was actually rather fun. It seems that for every announcement like Mordheim we get two or three Storm of Vengeance. You do have to wonder what Games Workshop is thinking about with their dishing out of licences. It would seem that gone are the days of making Dawn of War and Space Marine. I’m not saying that Carnage looks bad, it actually looks like quite a lot of fun but please Games Workshop you’re a company that makes strategy games, can we have more of them please?